This weekend, West Cork was invaded by Celtic Cousins from Cornwall! 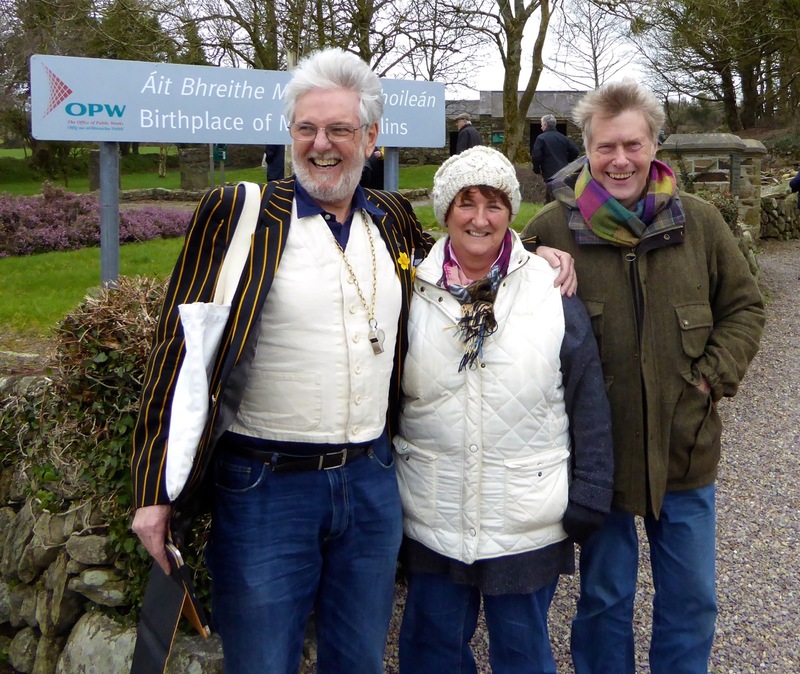 By longstanding tradition, a group from Bude and its environs visits Courtmacsherry and the area surrounding it to join Irish neighbours in a feast of music and song: the hospitality is reciprocated when the Irish contingent goes over to Cornwall. The reason? 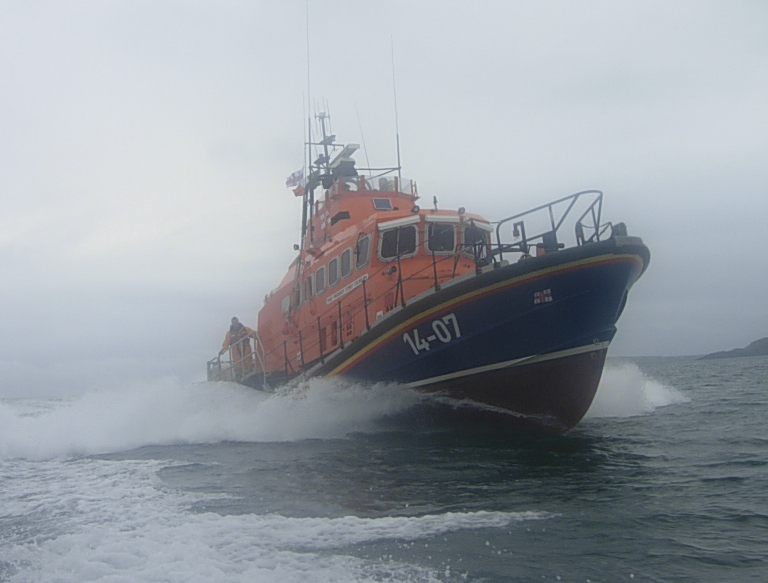 The lifeboat based in Courtmacsherry has long been ‘twinned’ with the lifeboat based in Bude. First, a bit of background. There are 236 lifeboat stations around the coasts of these islands, and 43 of these are in Ireland. 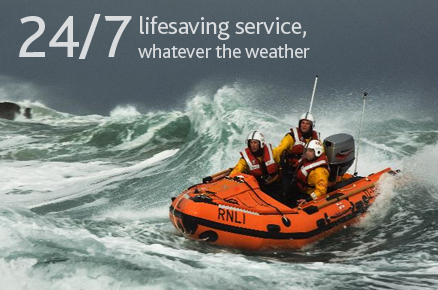 The RNLI has operated life saving facilities in the Republic and the UK since 1824, when the National Institution for the Preservation of Life from Shipwreck was founded as a charity by Sir William Hillary, a soldier who lived on the Isle of Man. The Institution today is supported almost entirely by donations and legacies, and the crews are unpaid volunteers. Bude, on the north coast of Cornwall, had its first lifeboat as early as 1837. This boat was presented to the town by King William IV and paid for by the Duchy of Cornwall: the cost was 100 guineas. 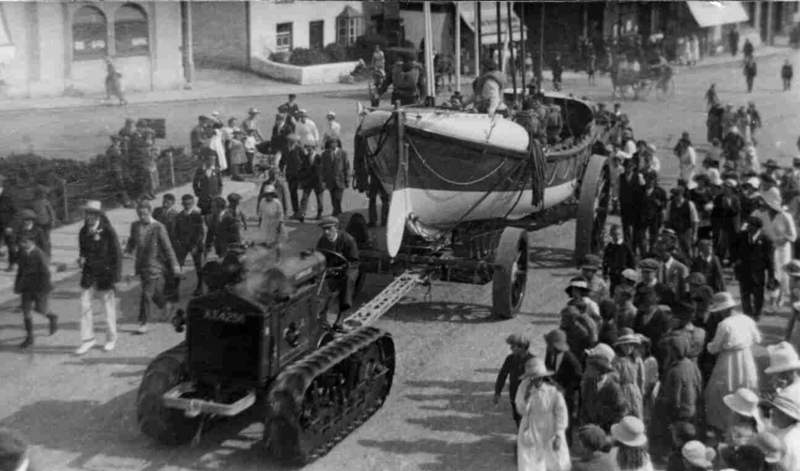 The lifeboat at Bude was withdrawn in 1923, and not reinstated until 1966. At the same time the Bude Lifeboat Singers came into being: this was conducted by crew member Jonathan Ball, and over the next 25 years was much in demand across Britain and into West Cork, and during that time many thousands of pounds were raised for the RNLI and other charities. Meanwhile, the lifeboat station at Courtmacsherry was established in 1825 – one of the first to be founded in Ireland – and has been active ever since, its Trent class Lifeboat being on hand at all times to save lives and rescue mariners in trouble. The Trent lifeboats are true all-weather vessels in the RNLI fleet, and are exclusively designed to operate in Europe’s most hostile waters. As you know, West Cork is also home to many people steeped in music and tradition, so it was only natural that Bude and Courtmacsherry should get together to share tunes and songs – and hospitality. For us the ‘getting together’ happened on Friday, when we travelled up to Sam’s Cross: Michael Collins country. 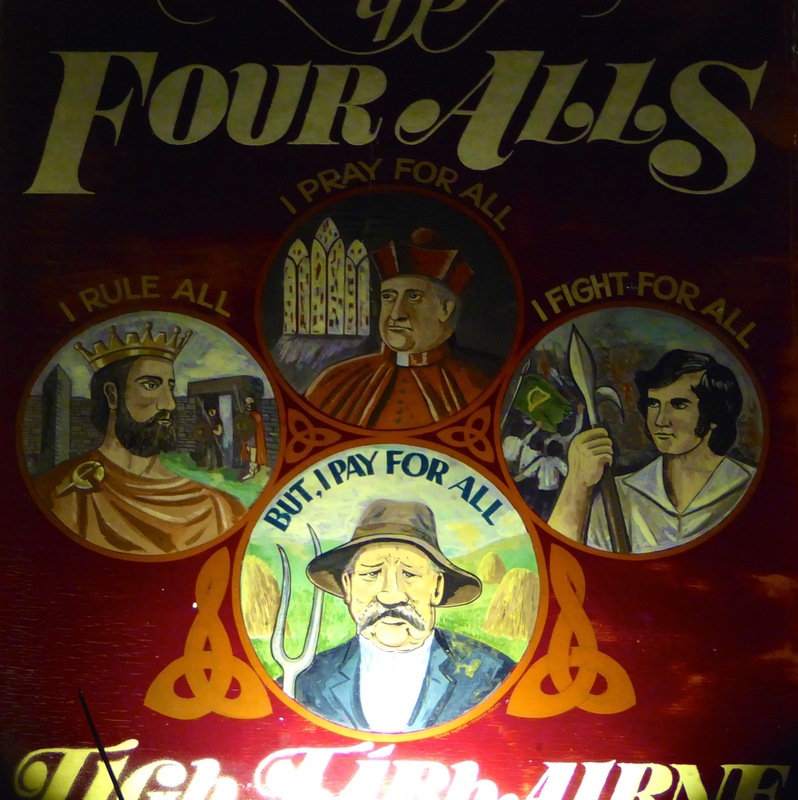 We had to visit his birthplace, of course – have a look at our previous post on this great Irish folk-hero. 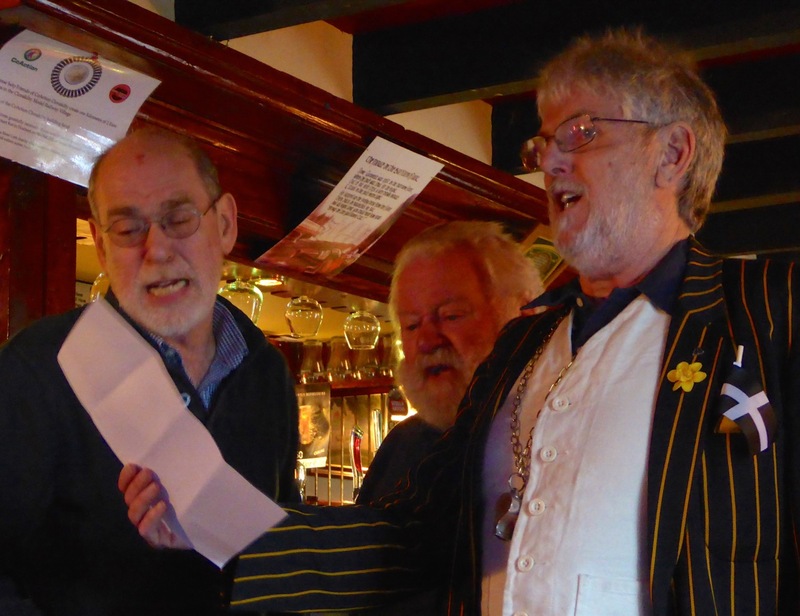 Collins’ local pub was the Four Alls, and that’s where the singers and musicians settled down for a lively session, joined by some of the pub regulars, who added their own contributions. Although a little hoarse from the previous night’s revels, Cornwall gave of its best, with Jonathan himself still conducting – 48 years on! West Cork was well represented by Dan O’Donovan and colleagues – former show band members – and the locals. I felt privileged to be allowed to join in with my own European mixture of English / Irish / French dance tunes. As dusk began to settle, the next venue beckoned, and we became part of a convoy snaking its way through the most remote parts of County Cork: we had no idea where we would end up! 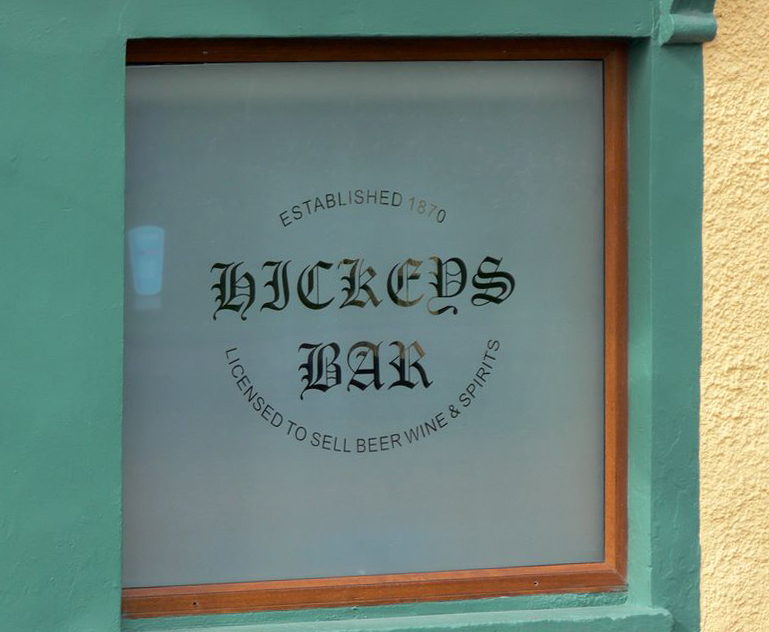 When we finally arrived at Hickey’s Bar in the fine village of Aherla we were completely disorientated. But at Hickey’s we were welcomed with open arms and led into a back room full to the brim with musicians! I counted well over twenty from the Irish contingent and, as the evening progressed into night and then morning, more locals came in to add to the entertainment with songs and recitations. This entry was posted in Aherla, Architecture, Courtmacsherry, Irish History, Roaringwater Bay, Sam's Cross, Traditional Music, Visiting Ireland, West Cork Blog and tagged Bude Lifeboat, Cornwall and West Cork Links, Courtmacsherry Lifeboat, Dan O'Donavan, Eden Project, Four Alls, Hickey's Bar, Irish Lifeboats, Jonathan Ball, Lifeboat Twinning, Michael Collins, RNLI, Singing Barman, Trent Class Lifeboat. Bookmark the permalink. Great account of Day 2. We made Days 1and 3, also tremendous. I must do a crash course on pacing myself! Please call if you’re in Bandon. What a great tradition! Now I’m off to check on your Mick Collins post. Thank you for the comment, Jonathan – and for the good time that was had by all! What a great occasion Robert. I wish I’d been there to hear all that music.